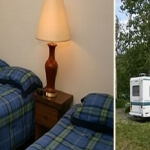 Alaska Wildland Adventures has operated Alaska vacation packages, adventure tours and wilderness lodges for over 40 years. Founded with the goal of sharing Alaska’s wilderness and wildlife with travelers seeking a high-quality, authentic Alaskan adventure for their vacation, we are proud to continue this tradition as one of Alaska’s award winning leaders in small group Alaska tours. Alaska Wildland Adventures is committed to the values of ecotourism, expressed through our guiding principles. Our Guided Journeys are all inclusive, small group tours which feature fully guided hiking, rafting, kayaking and relaxing at wilderness lodges on the Kenai Peninsula and in Denali National Park. Featuring trips from 6 to 11 days, we’ll find a trip and itinerary that meets your vacation needs and travel style. We’ll take care of the details including lodging, transportation, equipment and most dining so that you’re able to simply relax and enjoy the surroundings. 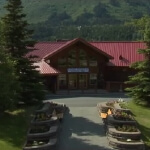 Choose from the seacoast paradise Kenai Fjords Glacier Lodge; the remote Kenai Backcountry Lodge on glacial-carved Skilak Lake; or the Kenai Riverside Lodge located on the banks of the famous Kenai River. Each lodge offers all-inclusive package stays from 2 to 5 nights or more, with flexible departures and customizable itineraries that fit your travel style, family needs and budget. 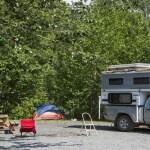 Lodge activities may include kayaking, rafting, fishing, hiking and of course – relaxing in wild Alaska. 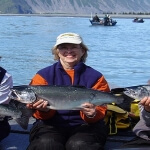 Two- to seven-day Alaska fishing packages for rainbow trout, Dolly Varden, and king, silver and sockeye salmon are available with our Kenai Riverside Fishing program at Kenai Riverside Lodge, our original log lodge and cabins surrounded by snow capped mountains and nestled along the banks of the upper Kenai River. 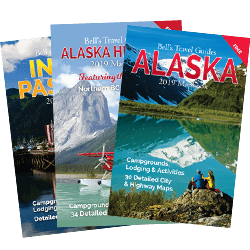 Use our website to request our catalog and plan your Alaska guided journey or wilderness lodge stay with Alaska Wildland Adventures.